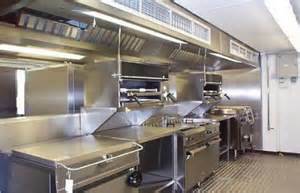 Are you thinking about adding Restaurant Exhaust Hood Cleaning to you power wash business? ● Restaurant exhaust hood swivels can also be used to clean pipes, shafts, vents, drains, barrels, containers and garbage disposals. The cleaners are self-rotating and completely anti-corrosive. Even pipes and shafts can be rid of dirt build-up thanks to the water stream generated by these spinners. Installing and operating this machine is very simple and quick. 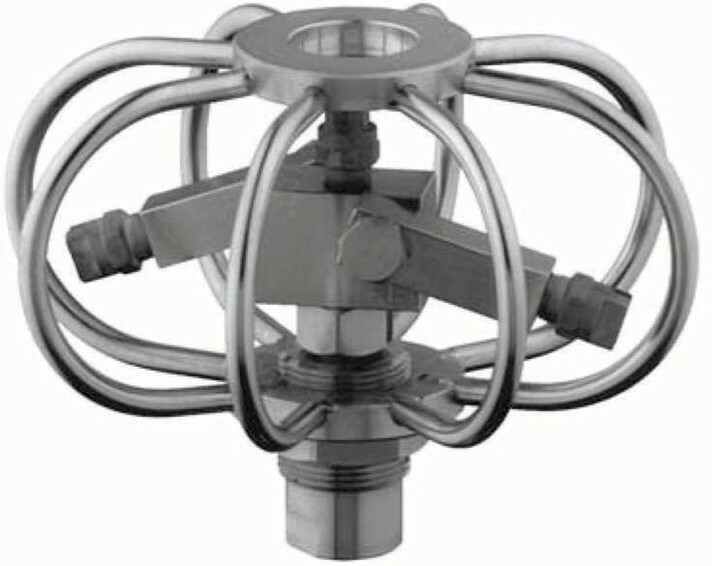 ● Rotary arms: The self-rotating cleaning heads are available with fixed or swivel arms. The swivel arms allow you to adjust the spray angle. ● Steel cage: The MOSMATIC Duct Cleaner is equipped with a standard stainless steel cage protecting and prolonging the life of the rotor arm inside. 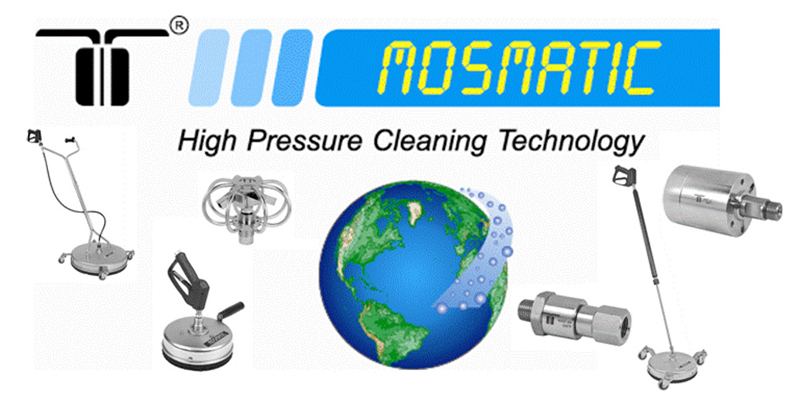 ● High quality swivel: The centerpieces of a Mosmatic Surface Cleaner is it’s swivel. It is reinforced with self lubricating, stainless steel ball bearings with a carbide gasket system. They are specially designed for high revolutions ensuring long lasting durability. ● Polished stainless steel (INOX): A Robust and an optically elegant design are the priorities Mosmatic sets for its products. There is no question of using anything but polished stainless steel (INOX) for all of our products. FIXED NOZZLE POSITIONING IDEALLY SUITED TO BE DROPPED DOWN THE EXHAUST HOOD. To order the correct nozzles take the nozzle that you are presently using and divide it by the number of nozzles required by the Exhaust Hood Swivel you are ordering. For example: If you typically use a #6 nozzle such as a #1506 and you are buying a 3-Nozzle Swivel you will order 3 each #2 nozzles such as a #1502. ADJUSTABLE NOZZLE POSITIONING TO ALLOW THE SWIVEL TO PULL ITSELF. 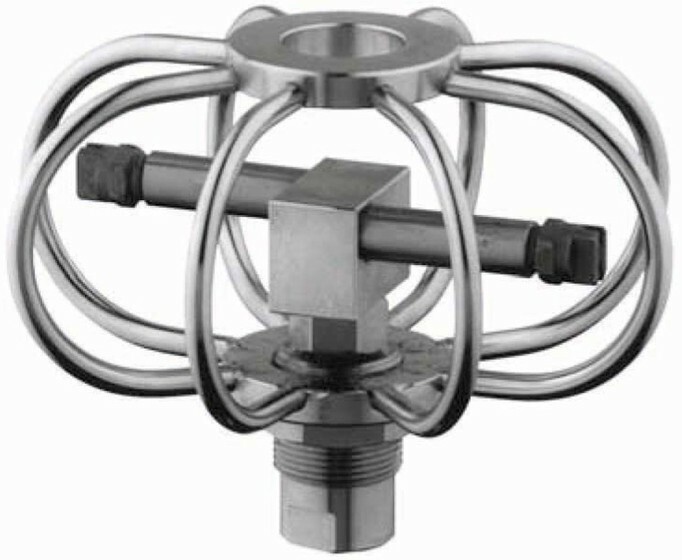 These swivels require 1/8” MEG Nozzles which are sold separately.